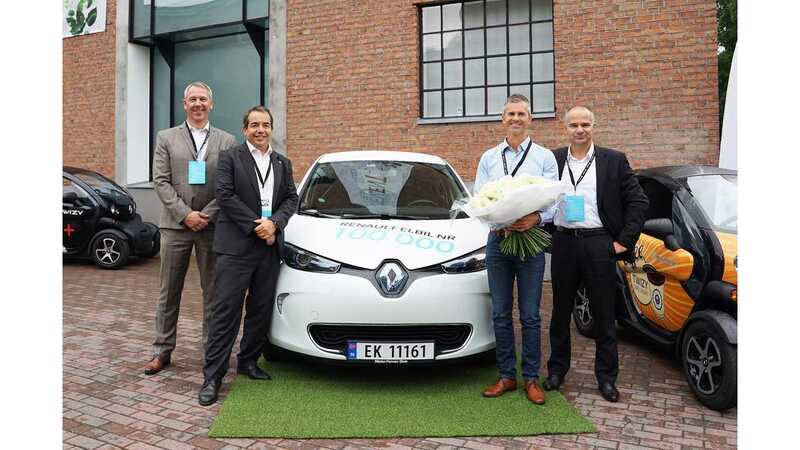 On September 9th, 2016, Renault sold its 100,000th electric vehicle - the ZOE, which was ceremoniously handed over to a customer in Oslo, Norway. 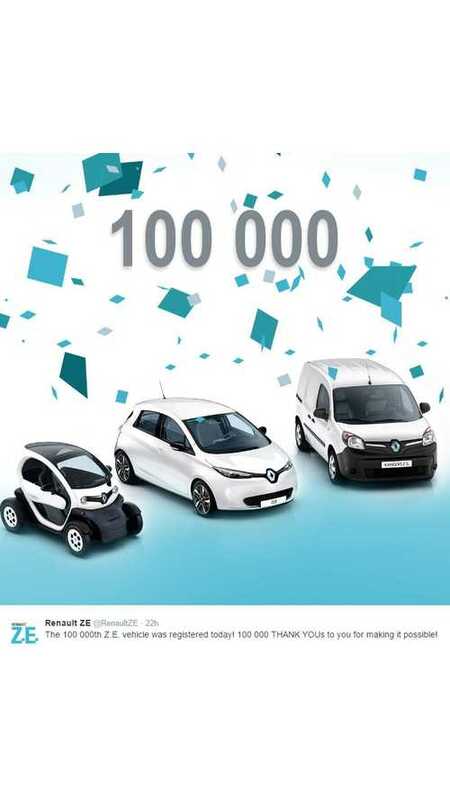 As a reward the owner of the 100,000th ZOE also received 100,000 free charging minutes! "The electric vehicle is a Renault ZOE, sold to Mr. Åsmund Gillebo, a 41 year old Norwegian. To get the best out of his ZOE, he has been presented with five years of Fortum recharging and 100,000 minutes of recharging time from Grønn kontakt, two local energy suppliers." Besides the ZOE, Renault also offers the Kangoo Z.E. and Twizy (earlier line-up included the Fluence Z.E., originally developed with Project Better Place in mind). In Europe, Renault holds a large 27% market share of BEV segment, while in France, that share exceeds a massive 50%. The first half of this year ended with about 15,000 sales (excluding the Twizy), which is a third more than year ago. In passing the 100,000 mark, Renault becomes the 6th automaker to cross that level.